From Baal HaSulam’s article “Introduction to the Study of the Ten Sefirot,” Item 78: “Even if the whole world says you are righteous, be wicked in your own eyes,” specifically in your own eyes. In other words, as long as you have not attained “opening of the eyes” in the Torah, regard yourself as wicked. Do not fool yourself with your reputation in the entire world as righteous. People are not at will to do good or bad deeds. Regarding spirituality, the natural qualities of a person, which he was born with, don’t count: how nice and polite or how rude he is. Until one merits a revelation and the Creator’s testimony, that will guarantee his good intentions, until then, one will remain wicked. All The Light? That’s Too Much, Can I Have Just A Bit? 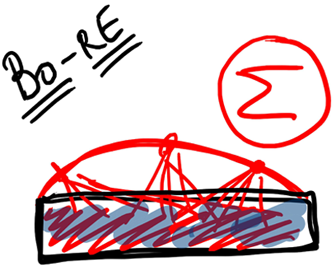 Question: Egoism is the engine of progress. How do I get to the essence of it? Answer: Start relating to it properly: Egoism is assisting you; it is “help against.” It unfolds so that you transform it into its opposite, and then it will become a helping hand. If we look at things properly, life will stop feeling like tough resistance and an “unbreakable wall.” On the contrary, you always keep playing with your egoism, constantly “juggling” it. You befriend each other, and it already knows that it’s the right thing to do. And suddenly, behind egoism the Creator appears. It turns out that He is pulling the strings, and now He becomes your partner. Try to view everything not only from below upward, but also from above downward as well, not from creation’s point of view, but from the Creator’s angle, meaning how He has to restrict Himself, what He should send to you and how. Suppose you have received something from Him. Now you consider how to work with it from below; besides, you can take a glance from His point of view and visualize how He sends you certain conditions and how they descend downward until they form the exact situation you find yourself in. This is the key. After all, no matter what the Creator is giving me, every case comes down to this, and this is what I must be aiming at all the time. As a result, each time, my response should be as follows: to carry these two principles (1, 2) from state to state, enhancing them more and more. This is the sole purpose of all that happens. Clearly, in order to implement this, I need a guarantee, support, the Light that Reforms (Surrounding Light, Ohr Makif – O”M), and in general, the Kabbalistic method. But one way or another, everything occurs solely in order to give me a chance to come closer to revealing the Creator, as there in none else besides Him, who is Good Who does good. This method is an ancient one. Since they did not find a way and an outlet to bring these two conspicuous opposites closer, they came to assume that the Creator, who created all these, who watches mightily over His reality lest any of it be cancelled, is mindless and senseless. Hence, although He watches over the existence of reality with wondrous wisdom, yet He Himself is mindless, and does all that senselessly. If there had been any reason and feeling in Him, He would certainly not leave such malfunctions in the provision of reality without pity and compassion for the tormented. For this reason, they named Him “Nature,” meaning a mindless, heartless supervisor. And for that reason, they believe that there is no one to be angry at, to pray to, or to justify oneself to. The following approaches stemmed from the disagreement with what happens in nature; people invented them as different excuses, and so they are all false. In fact, we see facts that are independent of our attitude towards them. But man invents different excuses in order to sweeten life or to enjoy false hopes. A healthy attitude to life is in the scientific approach. We see the effect of unchangeable exact laws everywhere, the activity of systems and the periodicity of natural elements. If I see that that’s the way things are, then it is so, and don’t offer me different lies. I see the truth and any addition to it is individual and cannot be counted on. It is in these additions that beliefs are created, while nature is revealed in facts as it actually is. The wisdom of Kabbalah continues this approach, telling us about the principles of the perception of reality. 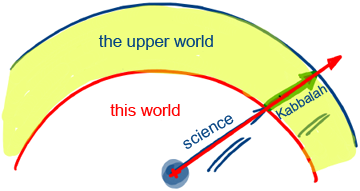 We see this world before us, and, except for that it, says that there is a whole area called “the upper world,” which is not imaginary, but which can be studied scientifically. Thus the wisdom of Kabbalah continues conventional science and conducts research beyond the boundaries of conventional science. With the help of the wisdom of Kabbalah, I continue scientific research and develop new vessels of perception, expand their range, and keep the principle of “a judge only has what his eyes can see.” There is nothing more than that; everything else, including religions, is actually philosophy. In the News (from The Guardian): “European governments clinched a landmark deal on bank supervision and approved long-delayed aid to Greece on Thursday, trumpeting the agreements as signs the bloc is getting a grip on its problems after three years of deep crisis. “ECB President Mario Draghi hailed the deal on banking supervision, the first stage towards a banking union with more pooled sovereignty, as an important step towards a stable economic and monetary union. My Comment: Now, the main thing is to play for time because there is no solution, and time itself will work somehow. We need to understand leaders: They have nothing to manage, they need to play according to their positions, and the more desperate the situation is, the more assurance should be heard in the voice! Question: Do we draw the Creator by actions that are aimed at the revelation of spirituality? In other words, do we raise the actions or do we lower the Creator? Answer: There are no such terms as “up” or “down” in spirituality in the simple sense of the words. We can divide them according to quality: Up means a higher quality and down means a lower quality. I want to be connected to the Creator in all my actions; I want to feel how He manages me from the inside, I want to feel that all my thoughts, feelings, and decisions stem from Him. He is inside me, as the hand wearing the glove of the puppet, the puppeteer. No matter what I do, it is Him, but everything depends on the extent to which I discover that “there is none else besides Him.” Therefore I ask and yearn for it in order to discover Him in me. But I can do it only when I am with the group, because it is impossible to discover the attributes of bestowal alone. I am an egoist, an individualist, which means that I have to be with a group and to adhere to it. I am included in a group, connect to the friends, and try to be with them in one desire, one inclination. Through them I ask for all of us, because I cannot ask for myself, since it will be egoism again. I ask for all of humanity—that the Creator will be revealed in us and that we will all feel Him and feel how He operates in us. This is how I want to see what joy and contentment we are bringing Him. This is fulfilled by the law of “the end result is in the initial thought,” since in spirituality there is no time and no sequential actions. There is a static state, and it is only with regard to us that it is revealed this way, so that we will perceive it gradually. We must understand the whole formula of creation from the beginning to the end, since otherwise it won’t work. We have to be moderately involved in it, since even our slightest participation is made of the same ten Sefirot according to the law of “the general and the individual are equal.” So we have to feel ourselves deeply, the group, humanity, and the Creator together in one general picture and to complete it. Question: What is the Creator’s joy? Answer: The Creator’s joy is the state in which we are all connected, adhered inside Him, enjoying the same wholeness that is actually the Creator Himself. What Does It Mean To Unite With The Creator? Question: How is awe of the Creator demonstrated in our work with the world? Answer: Awe of the Creator is expressed in awe before the world, whether we can correct it. I really should be afraid of whether I am doing everything to make the world not only avoid suffering (although this is the initial stage of awe), but also to come to the Creator the easy way. After all, the Creator is not interested in having someone suffer for even a moment, and the suffering of the world depends only on how I will lead it to the Creator. I am responsible for it. This will gradually appear before us like a great mission with great responsibility. 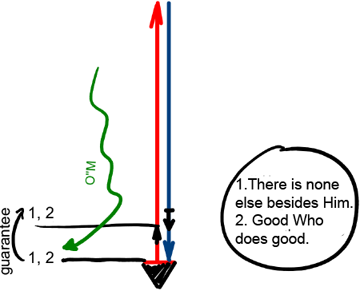 Question: If each of us is making efforts and takes his point outside, at what moment does the adhesion of these points occur between us? Answer: Be always prepared for duality. If I intentionally seek to measure something, to feel, then, on the one hand, I will be pushed away from this, and on the other hand, I have to build attraction in me. On one hand, I will not understand, and on the other hand, I might understand something. And all this will exist in me in equal proportion. If I work for the group, on the one hand, I have to look at it as something absolute, a unit that is in perfection, in the world of Infinity. Each of the friends is an angel who has completed all his corrections. All the friends are united. There is an ideal in front of me, and the Creator is inside of it. This is how I should imagine everything that is outside of me. Then I will have something for which to strive, for unity with friends, to be included in them. I see them as great; I develop envy, jealousy, and the desire to integrate with them. On the other hand, this group influences me, and I have to see and feel it as it usually happens in this world. In this case, I have to communicate with them as with equals, and perhaps sometimes as a teacher to students, and so does every one of us. I have to excite, organize, and motivate them towards the goal, make comments about shared work, about unity, etc. Thus, there is a kind of “scissors.” On one hand, I relate to the friends as great, perfect, and connected to each other. On the other hand, I relate to them as those whom I can point out, I can cheer; I have to organize someone whom I can influence. I must be prepared to treat the group in two ways, and it should not disturb me. In spiritual work duality always emerges. But in any case, one does not cancel the other; there is time for one and for the other. 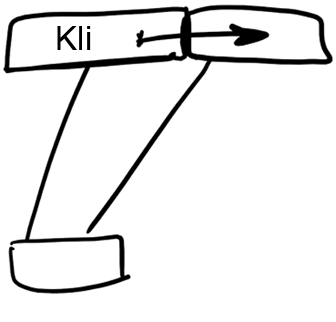 Because of this, you need to learn to bifurcate, to look at things more “slanted,” and then between these two oblique directions, you will find out how to see the higher system. As a result, the Creator has to intensify the evil and the sufferings, so that I will have to take a better look at what my life depends on. He does it so that I will not be able to stop this search. We see this in the example of the state of Israel: Ahmadinejad, the Hamas, threats, missiles, Mubarak instead of Sadat, Mursi instead of Mubarak…the Creator constantly hardens the heart of Pharaoh. Why is that? Because the Jewish People don’t want to see the real reason for what is happening. In the meantime, all the minor reasons were only meant for one thing—to bring Israel to the Creator, so we have to be grateful to them for that. They are merely means. 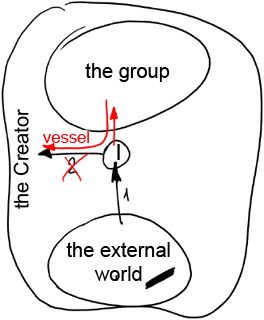 Question: So whom are we working with, with the group or with the external world? Answer: All of reality, including the external world, including me and the group, are in the Creator. The external world gives me a negative impulse (1), by constantly evoking me to turn to the Creator (2). But I know that I cannot turn to Him directly. First I have to turn to the group, and then together with it to the Creator. Only then will I have a vessel, a desire for it, while nothing will help me if I work individually.